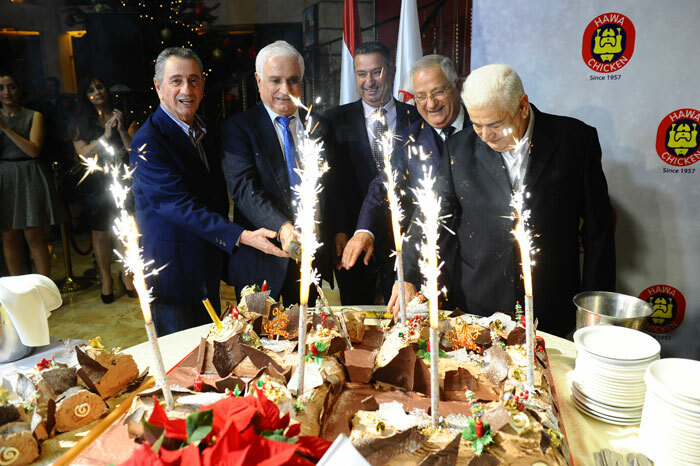 The 55th annual and Christmas dinner of Hawa Chicken was held on December 15, 2012 at Byblos Palace-Jbeil. 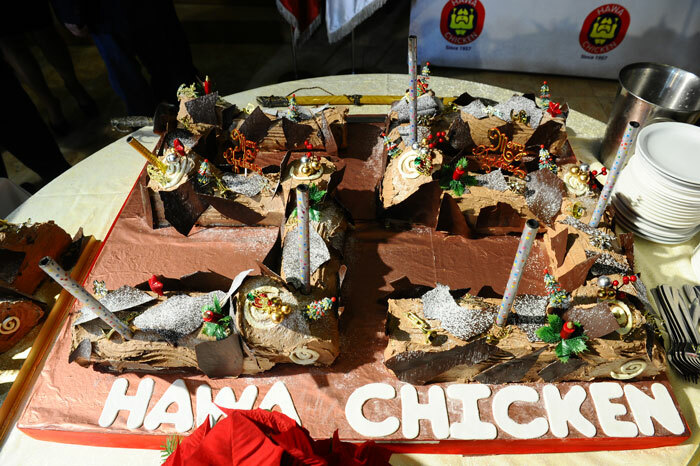 Employees, managers and shareholders were celebrating the company’s anniversary and enjoying the holiday spirit all together. At arrival, all guests were pleased to take a “fame board “picture. 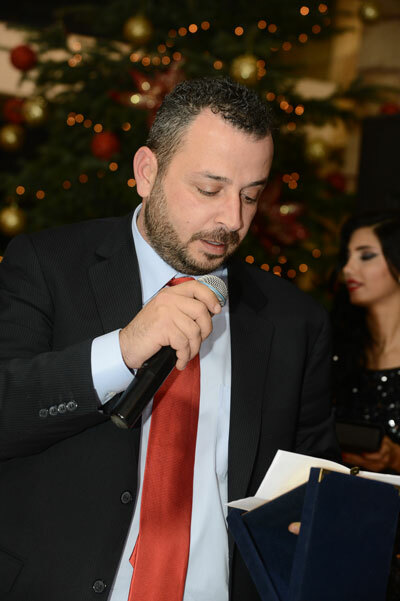 Mr. Joseph Kerellos began with a striking speaking and CEO, President Dr. Jean El Hawa marked all listeners by a warm wholehearted speech. The evening was hosted by Miss. Sandy Ayoub and Mr. Joseph Naoum who added a successful, attractive and beautiful ambiance to this lovely gathering. Valued awards were granted to the most talented and loyal employees. Both accounting and sales accounting departments gained the “Best Christmas tree” award. A Standup comedy acted by Tony Keyrouz added to the evening a funny and joyful sense. Toward the end, all company shareholders cut a cake for the occasion. Generally speaking, the evening was carefully planned to insure the best entertaining ever. We really felt that we deeply are Hawa Chicken “Family” in full word. Whishing the company a continuous success and progress together with the endless effort and strength of all its employees, managers and shareholders.